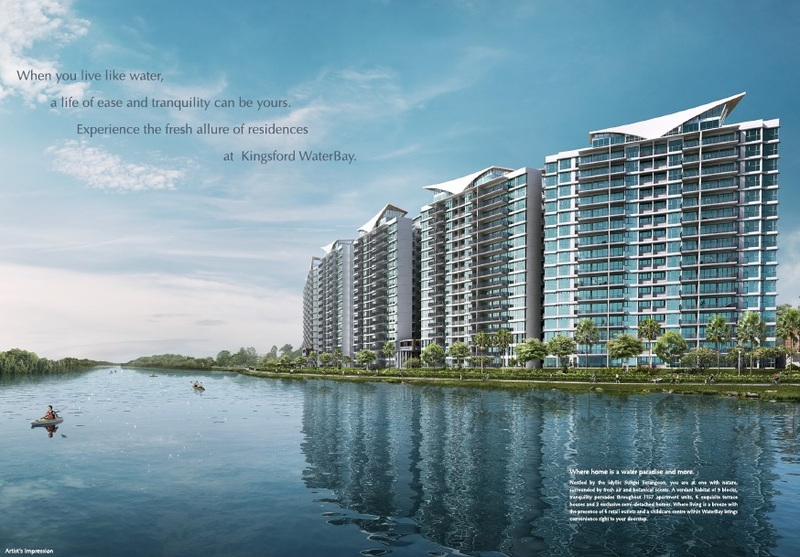 Kingsford Waterbay Condominium is a new launch residential development by Kingsford Development Pte Ltd. Located at Upper Serangoon View, the 99-years leasehold condominium is made up of two two hotly contested adjacent plots won by Kingsford Development Pte Ltd. Fronting the Sungei Serangoon waterfront, future residents can look forward to quality waterfront homes. 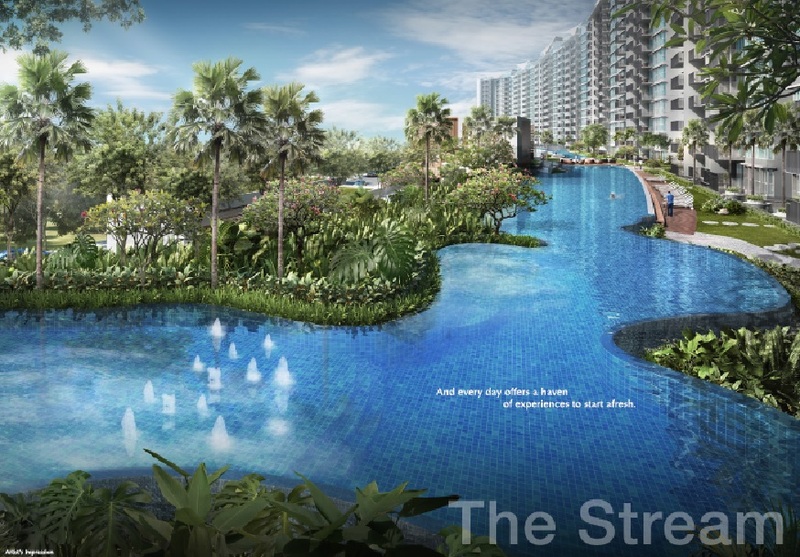 Enjoy direct access to the Serangoon Park Connector, which is part of NParks’ North Eastern Riverine Loop that connects to other major parks in the North-East Region including the nearby Punggol Park. 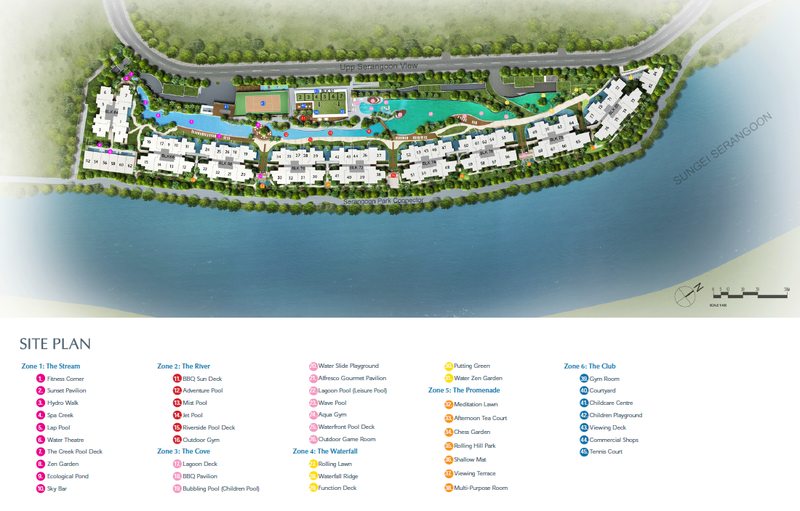 The 1,165 units Kingsford Waterbay will boost an extensive list of condominium facilities, categorized into 6 different zones, The Stream, The River, The Cove, The Waterfall, The Promenade and The Club. The development has 9 blocks of residential building which includes 1157 apartment units, 6 terrace houses and 2 semi-detached homes. Future residents can enjoy the convenience of having 6 retail outlets and childcare centre right at the doorsteps. 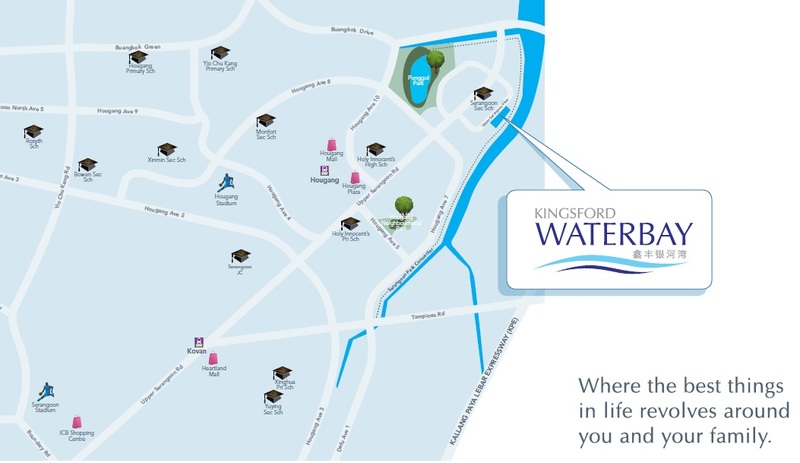 Kingsford Waterbay is nestled in an established housing estate, District 19 Singapore. The condominium is a short drive away from both Hougang and Buangkok MRT Stations. Surrounded by amenities, one do not have to travel far for everyday needs. Plenty of shopping and dining facilities can be found at Hougang Mall, Compass Point, Seletar Mall and future MidTown and Waterway Point. Enjoy recreational facilities and quality family bonding time at nearby Punggol Waterway, Sungei Serangoon, Punggol Safra and Sengkang Sports & Recreational Centre. For families with school going children, you will be spoilt for choices by the educational options like Xinmin Primary & Secondary School, Nan Chiau Primary & Secondary School, Holy Innocent Primary School, CHIJ Our Lady Of The Nativity and many others. Healthcare coverage for your loved ones will be well taken care of at Hougang Polyclinics, Sengkang Polyclinics and upcoming Sengkang Community Hospital. Kingsford Development Pte Ltd is a developer based in Shenyang, China. 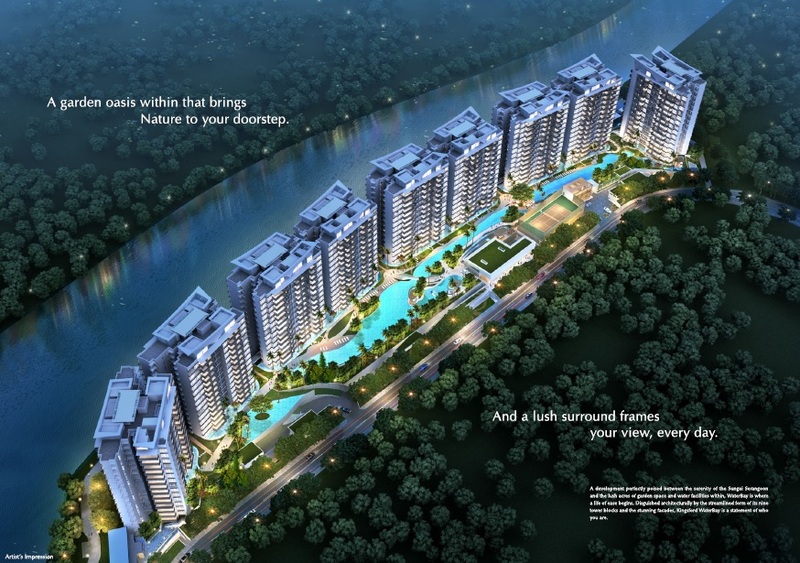 Kingsford Development Pte Ltd is the developer of 512-unit Kingsford @ Hillview Peak. Kingsford Waterbay is located at Upper Serangoon View in District 19 Singapore. For more information on Kingsford Waterbay, simply fill up the contact form below and our salesperson will get in touch with you shortly!